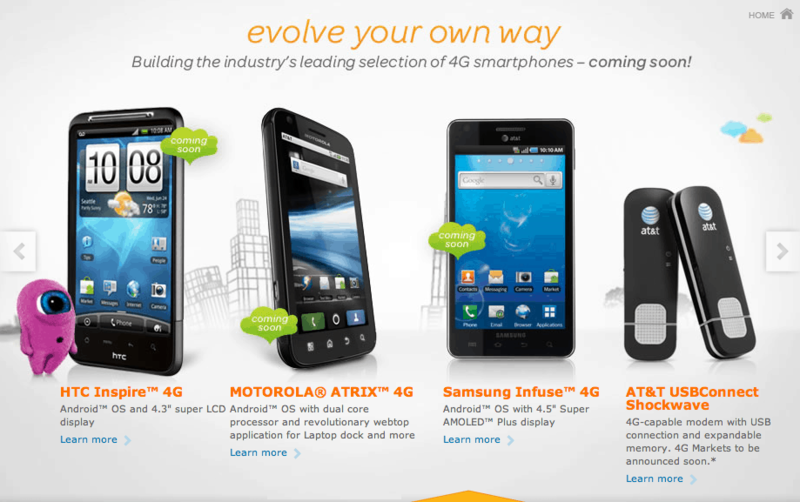 AT&T recently sent out an email featuring their new 4G products. It stated that speeds will increase up to 4x over their current speeds, while their HSPA+ and LTE networks allows them to have two underlying technologies that deliver those speeds. The email also officially announces the HTC Inspire 4G, Motorola ATRIX 4G and the Samsung Infuse 4. They will also offer 4G USB modem connectivity.